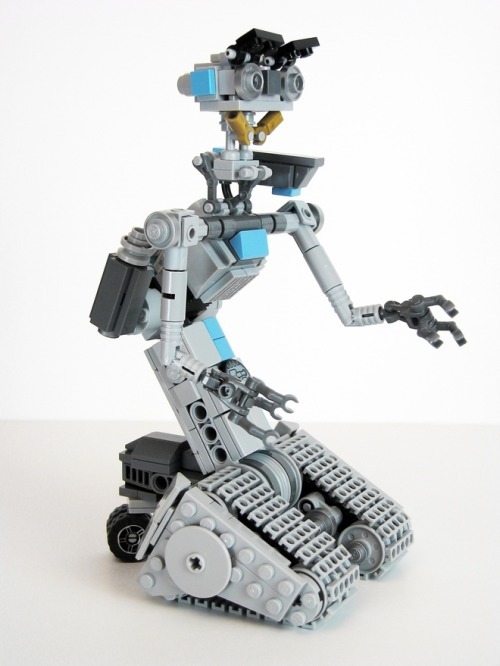 Support this project at Lego Ideas. 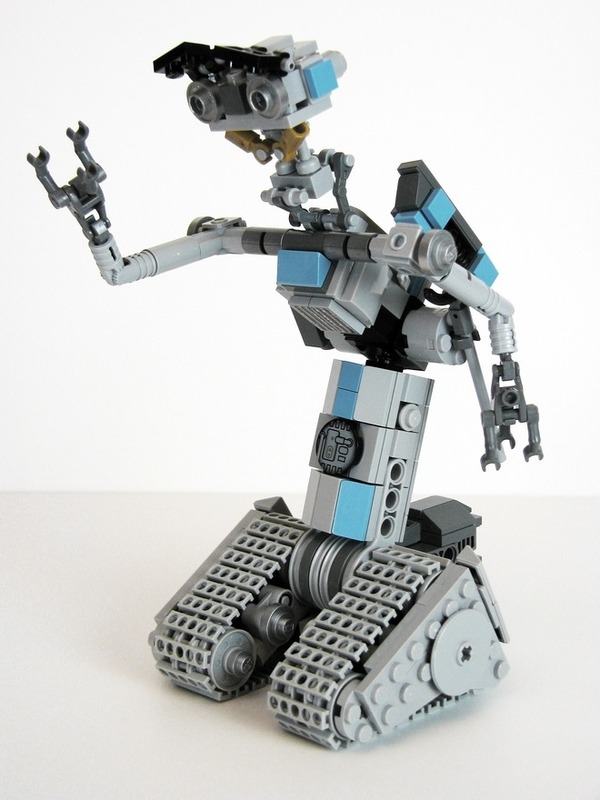 I loved this movie as a kid, and if this ever becomes an official Lego set, I'm buying it on day one. I'm not sure about the choice of including blue bricks, though. Now, if only they'd do a Tachikoma. "Number 5, a.k.a. 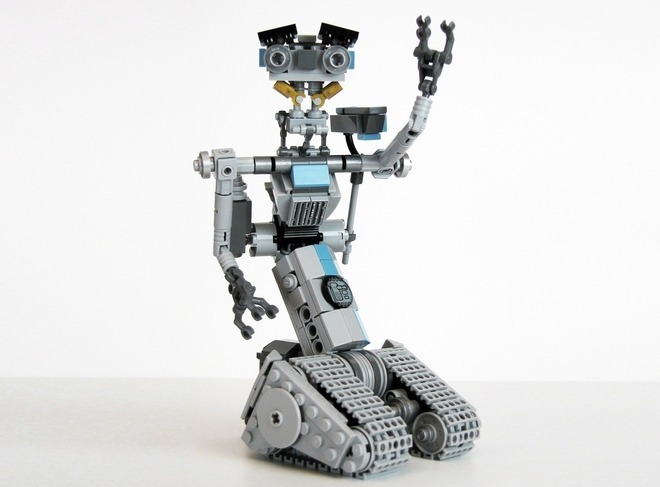 Johnny Five, is the hero of the Short Circuit movies. Number 5 was one of five prototype robots, but after being struck by lightning gained a sense of awareness and free will. The multitude of his expressive abilities, combined with a youthful demeanor and thirst for knowledge (need more input! ), made him an instant favorite with audiences in the 80’s. 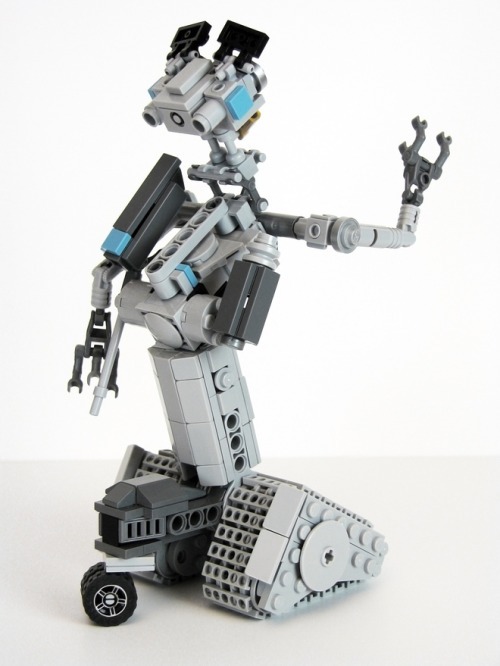 This small model contains approximately 300 pieces and attempts to replicate the sense of wonder that the robot often displayed. It stands around 7" tall & is very flexible. Arms, torso, head, & even ‘eyebrows’ can be posed however desired. Also featured are a retracting shoulder-mount & freely moving treads." aweseome! can you share the parts list for this please?